Hundreds of years ago in a peat bog somewhere in Scotland, Friar John Cor distilled the first batch of scotch whisky. It probably wasn’t the best-tasting spirit, considering it was the year 1494, but thanks to hundreds of years of refined distilling, scotch whisky has grown into one of the most popular drinks at bars, parties and events across the world. Not every whiskey can be called scotch, however; that title is reserved for whiskies made exclusively in Scotland which adhere to the timeless traditions of the region. 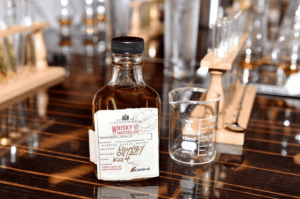 Learning to appreciate a good scotch just got a lot easier thanks to a new Whisky Masterclass presented by Dewar’s on board Carnival Cruise Line ships. 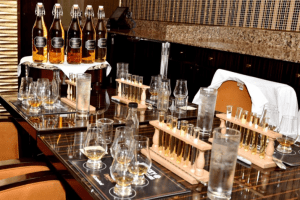 The class on all things scotch can be found on board six Carnival cruise ships and is a must-experience for those who love whisky or would like to learn more about one of the most complex spirits distilled today. 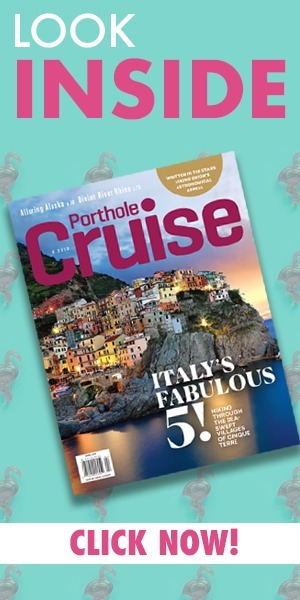 By next summer 2019, the Whisky series will be onboard all Carnival ships fleetwide. “Whiskey” is a generic term used to describe a number of different spirits distilled from grain mash. Bourbon, rye and scotch all fall under the umbrella term. While the distilling process remains mostly the same, the grains used to make each variety of whiskey is what sets them apart. In order for a spirit to be called bourbon, for example, more than half the grain mash prior to distilling needs to consist of corn. In order to be a true scotch whisky (no “e”), the rules are even more strict. First, the distillation has to happen in Scotland using malted barley and water, no exceptions. Second, the spirit needs to be aged in oak barrels for a minimum of three years. Again, no exceptions. The drink also needs to be bottled at an alcohol-by-volume of at least 40%. Failure to adhere to any of these fundamentals and you still have a kind of whiskey, just not real scotch. 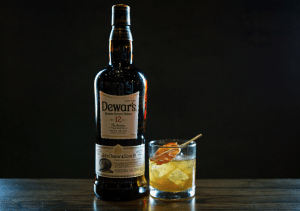 The goal of the Dewar’s Blending Experience is to give passengers the opportunity to learn about scotch whisky and the intricacies of the blending process by creating and bottling their own blend using Dewar’s. 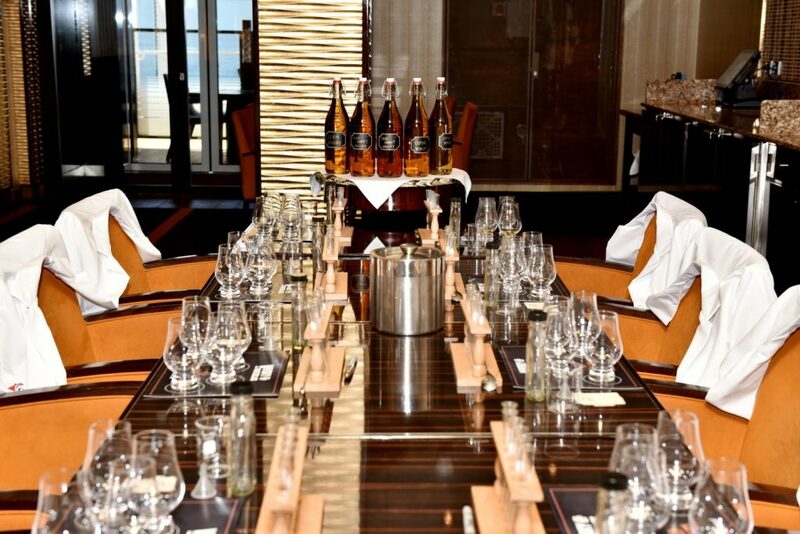 The class consists of an introduction to scotch whisky including the difference between malt and blends and the process for how they are made. The tasting portion of the class involves an in-depth analysis of famous scotch varieties in a blind taste test. The double aging process is unique and brings out certain characteristics only found in scotch whisky. Guests are instructed on how to make their own finished boutique blend and even get to take home a bottle of their creation complete with their own custom label. Guests also receive a Whisky Masterclass certificate with their name on it. The class also dives into the history of the brand which was founded more than 170 years ago by Mr. John Dewar. Learn scotch-facts like Dewar’s “White Label” is the top selling blended scotch whisky in the United States and that the brand has won more awards than any other scotch distiller on the market today. If you’re cruising with Carnival Cruise Line this summer, don’t miss out on the opportunity to enhance your knowledge of scotch whisky! Also, don’t forget to add Dewar’s on Instagram for more great recipes and exclusive behind-the-scenes content!